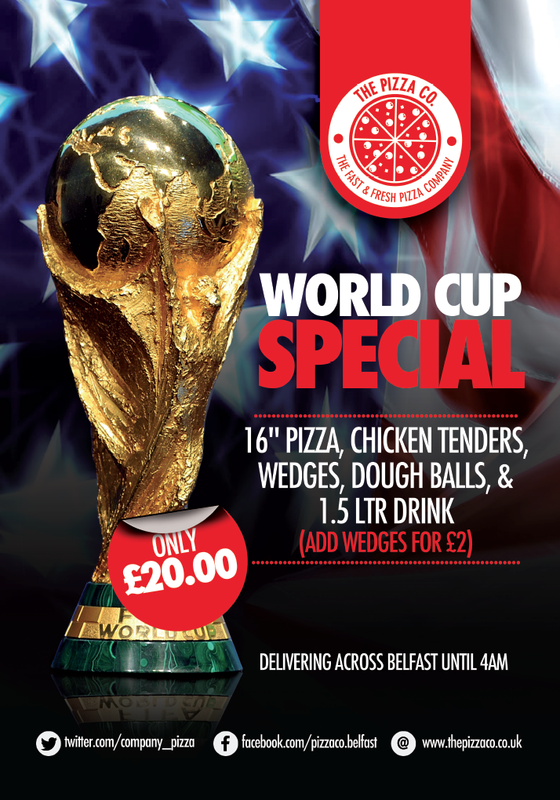 World Cup fever has hit Belfast and itâ€™s wonderful. 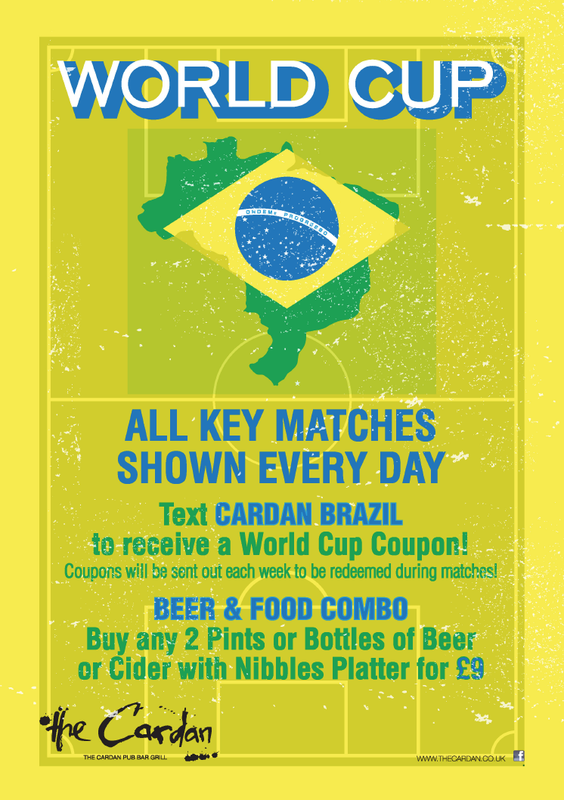 Not only are we helping businesses across the City getting into the swing of things with promotional offerings but weâ€™re getting in the mood ourselves with the launch of our 2014 World Cup Wall Planner. Weâ€™re excited, are you? The World Cup comes around every four years and gives many of our customers an added boost in trade, as they are able to target a huge market that is generally hard to reach. That is the 18-30 male demographic. I myself donâ€™t follow football on a regular basis, but for the four weeks of the World Cup, I myself become an armchair professional pundit. For the other weeks I know nothing about football. But thatâ€™s what great about the world cup, everyone is interested and even though we as a nation have no team representing us, we have every intention of picking a favourite or underdog to cheer for the duration. Why not? Below I have outlined some of the promotional activities our clients have begun to engage in for the forthcoming football onslaught. 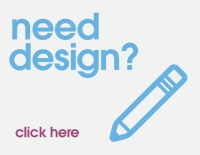 There are flyers printed for bars, posters print for chip shops and pizza companies based in Belfast. 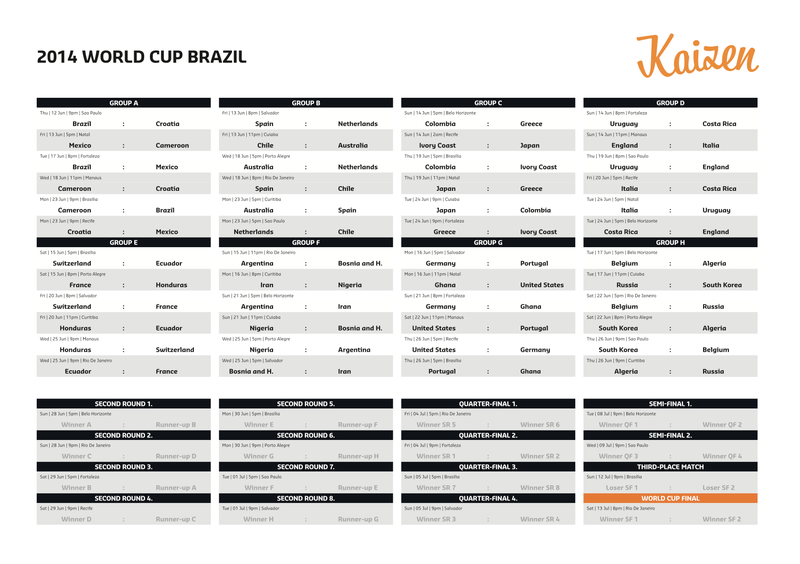 Whether you are sitting in with friends or planning to hit the town to watched the matches, our clients have you covered.